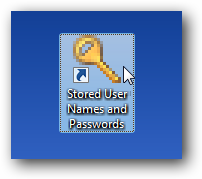 If you’ve ever saved a password when connecting to a website that requires authentication, for a remote desktop session or a mapped drive, you might have wondered where those passwords are saved. 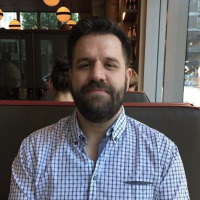 If you are a long time reader, you already know where, but you might be interested in how to create a shortcut directly to the dialog where you can manage those logons. You can add this into your folder of useful shortcuts… sure, you might not use it every day, but it’s good to know how to do it. 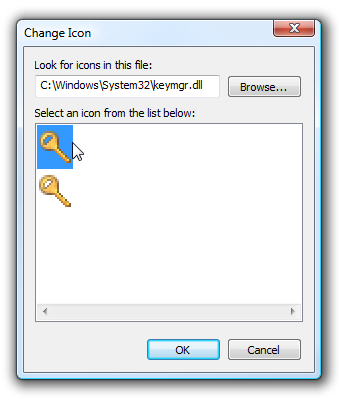 Right-click on the desktop and choose New \ Shortcut from the menu. 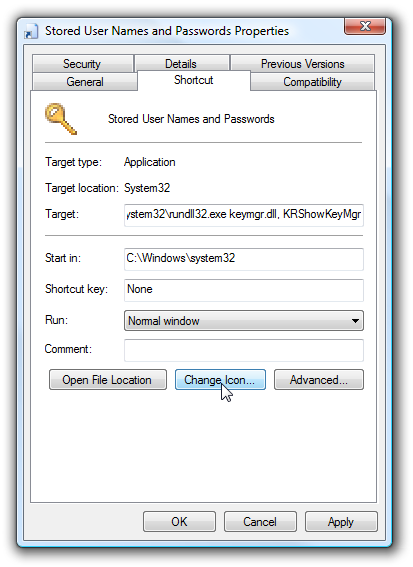 In the location box, enter in the following command, and then on the next page give the shortcut a helpful name. Once you have the shortcut, you’ll want to right-click on it and choose Properties, then click the Change Icon button on the Shortcut tab. 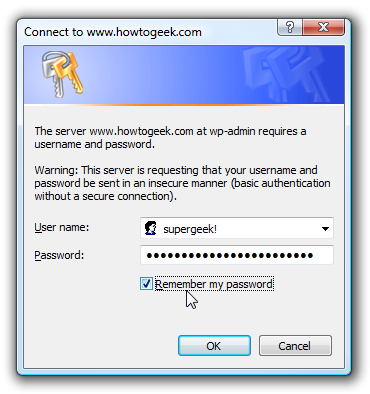 Which will open up the Stored User Names and Passwords dialog. 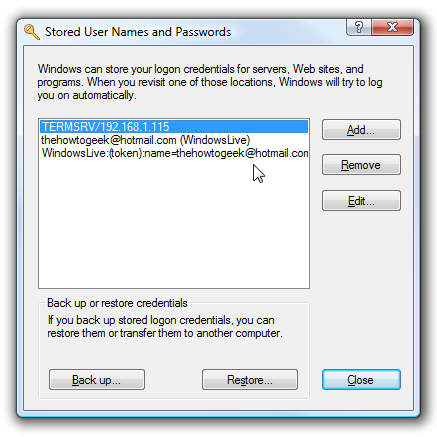 Note that you can also use this to backup and restore your saved passwords, and it should work in either Windows 7, Vista or XP.